Rory McIlroy has joined Lee Westwood and snubbed the $9.5 million Players Championship at Sawgrass. The world No 7 broke the news that he was skipping the self-styled Fifth Major during a Twitter exchange with the English world No 1. And he immediately felt the need to confirm that he does not have a vendetta against the PGA Tour or Commissioner Tim Finchem. After two missed cuts from two starts at the Florida venue, McIlroy was asked by Westwood if he had made up his mind about his annual trip to Jacksonville for “your 36 holes at the Players”. McIlroy gave up his PGA Tour card at the end of last season to concentrate on getting more wins on the European Tour. He hinted in Dubai last November that the Players might disappear from his schedule because he simply doesn’t like the course. Westwood announced last week that he would not be playing at Sawgrass from May 12-15 because he didn’t want to use up a precious PGA Tour invite which limits him to just three starts outside the majors and World Golf Championships. He also sent a stark message to the US Tour, pointing out if Americans rarely play in Europe’s BMW PGA at Wentworth, which should they make a fuss about him skipping their flagship event. “I am not a member of the PGA Tour so I don’t need to play the event,” Westwood said. “After the two opening World Golf Championships I would bracket our PGA Championship in May as just as important as it offers exemption for anybody in the world’s top 50 to play. The pair joked on Twitter that they might spend the weekend of the Players practising at Finca Cortesin in southern Spain, the venue for the following week’s Volvo World Match Play Championship. ﻿PGA Tour Commissioner Tim Finchem said in San Diego that he was disappointed but not overly troubled about the absence Westwood and McIlroy from Sawgrass. Speaking ahead of the Farmer’s Insurance Open at Torrey Pines, where world No 3 Tiger Woods will return to action after his winter break, Finchem said: “Well any time a top player or any player who is eligible for The Players doesn’t play, I’m disappointed. I’d like to see everybody play. But that doesn’t always happen, and things happen, and players get injured. “In this case, players make decisions based on their schedule that they’re focused on for whatever set of reasons. I really never try to second guess a players decision as it relates to his schedule. I’m just disappointed that they’re not playing. Particularly Lee, because he played so beautifully last year as he was marching toward finally achieving the number one ranking. “But I’m not troubled by it. I’m disappointed that they’re not playing, but I’m not troubled by it. I feel we’ll have an excellent field again. It’s a premier tournament on a great golf course with a great pedigree of champions, and the highest purse of the year. We’ll have a fantastic tournament. World No 1 Lee Westwood launched a furious “rant” at what he described as PGA Tour “protectionism” after Rory McIlroy was snubbed for the Rookie of the Year title in the US. Agent Andrew “Chubby” Chandler has defended the decision by world No 1 Lee Westwood and No 7 Rory McIlroy to skip The Players Championship at Sawgrass. Speaking to CNN’s Shane O’Donoghue ahead of this week’s Avantha Masters in New Delhi, the founder of the International Sports Management (ISM) stable believes the $9.5m event, which will be played from May 12-15, is not the “fifth Major” but only the ninth or tenth most important tournament in professional golf for his players. 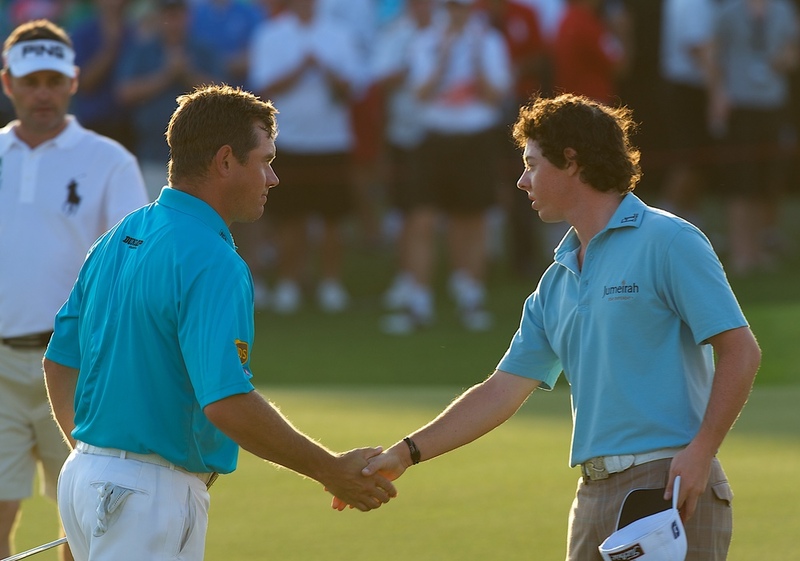 Rory McIlroy and Lee Westwood have rejoined the PGA Tour for 2012. Picture - www.golffile.ieIf Rory McIlroy thought he’d be seeing less of Lee Westwood after leaving the ISM stable he can think again with the news that the world No 3 has decided to rejoin the PGA Tour next season.